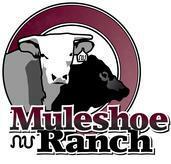 In 1991, the Echols children began showing Muleshoe Ranch cattle. 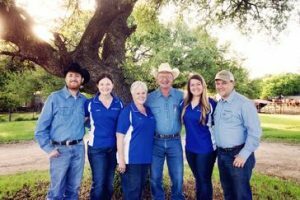 Lauren started with a Hereford steer at the Sand Hills Livestock Show in Odessa, Texas, and Will showed his first heifer in 1997 at the Texas Junior Hereford Association field day. Some of the animals we have today are the offspring of the heifers that Will and Lauren exhibited. Over the years, we have worked to build the herd and produce cattle that perform well on differing types of operations. We background our cattle on Klein grass/native pasture or haygrazer with a high roughage cube supplement so that they’re ready to go to work for you when you unload them from your trailer. We hope to provide the kind of quality animals you are proud to have on your operation.